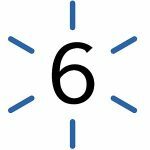 Via their job posts and information submitted by startups themselves, these are the Boston ES6 startups we've found. Ballot visualization software, providing quick, transparent review of scanned ballots and how they were counted. People analytics for the workplace. Cybersecurity startup building a platform for secure, user-friendly inter-company collaboration.